Our Training Aids for are designed to help the instructor get the most out of every lesson. 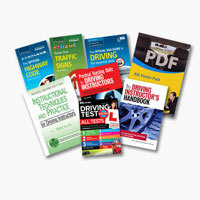 Our Part 3 Presenter has 36 full colour illustrations that cover all the Pre-Set Tests (PSTs). Along with our Lesson Plans these have helped many PDIs through their test. 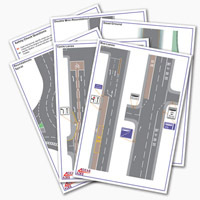 Our ADI Presenter covers all the key subjects within the driving syllabus and is professionally illustrated and produced for easy in-car use. Add to this the Expansion Packs and you have the most comprehensive ADI training aid available. Our full colour Pupil Handouts, which you can personalise with your school details, compliment the presenter and provide the professional instructor with an excellent pupil study aid and marketing tool to complete the training package. 20 sets of 25 full colour, double sided, A4 handouts to help prepare for and recap lessons delivered in-car. This equates to only £3.25 per pupil, or 13p per handout, spread over a course of lessons. The handouts are designed to compliment the ADI Lesson Presenter maintaining continuity throughout their learning. 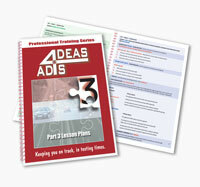 The Ideas4ADIs ADI Presenter and has been produced with the professional driving instructor in mind. 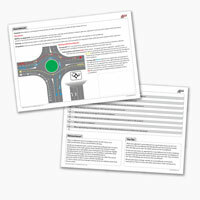 It covers all the key subjects in the driving syllabus with accurate, scaled & detailed diagrams. Each diagram has lesson Key Points and additions, which allow you to generate discussion points. The first expansion pack to compliment the ADI Lesson Presenter and produced to the same high quality standard, the pack contains 12 new diagrams. Designed to compliment the highly praised ADI Lesson Presenter, 14 pages of comprehensive guidance notes covering all 10 Pre-set Tests (PSTs), this is an ideal aid to help you prepare for your Part 3 test. 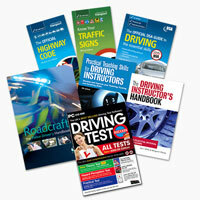 This is the package provides you with all the essential reading and more, to get you well on your way to becoming an Approved Driving Instructor. All you need to study for and pass the ADI Part 1 Theory Exam and help prepare you for the Part 2 & 3 exams. 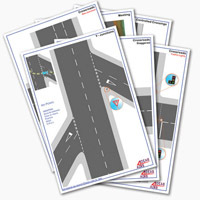 This package contains all the information you need to pass the Part 1 Theory and Hazard Perception Test and fully prepare you for your training for Part 2 Driving Ability and Part 3 Instructional Tests. It is important for all ADIs to keep their knowledge and skills up-to-date, even more so with the introduction of CPD. This compilation of titles is essential reading for all practicing ADIs and trainers and is an ideal reference collection to keep in-car.